The nonprofit Charlotte Center for the Literary Arts (Charlotte Lit) is the greater Charlotte community’s center for engaging with and studying the literary arts. They provide a physical space—the Plaza Midwood studio—where people gather, teach, learn, and create. And they are a virtual community hub where people discover local literary events and connect with literature and each other. They offer ongoing classes in the craft and business of writing; a reading series; and other events and programming, many in collaboration with local groups. This fall, their 4X4CLT series continues when they release four different posters featuring four poems and four works of art. A reading and celebration will be held with featured poets and artists. After each event, the posters are displayed in public places throughout the city—coffee shops, waiting rooms, libraries, storefronts. 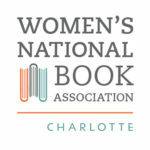 Charlotte Lit is sponsoring the Business of Writing track at the NCWN 2018 Fall Conference; Charlotte Lit co-founder Paul Reali also will lead the session “Technology Toolkit: Software and Tech Stuff for Writers.” Follow Charlotte Lit on Facebook, Instagram, Twitter, and visit them on the web. Since setting up shop in 1996, Dave Wofford of Horse & Buggy Press has designed over 100 books for other publishers, organizations, writers, and artists. Books occasionally feature in-house letterpress printing, hand-sewn bindings, and other special touches to complement beautiful designs with extreme attention to typographic detail. Many titles are housed in special collection libraries all over the globe, and the David M. Rubenstein Rare Book Library at Duke University actively collects and archives all publications of the press. Notable titles include an entirely hand-printed illustrated version of It Had Wings by Allan Gurganus; An Elizabethan Bestiary: Retold (Poems by Jeffery Beam with illustrations by Ippy Patterson) which was named one of the fifty most well -designed books of 1998 by the AIGA; The Dead Father Poems by John Lane; Southern Fictions by NC Literary Hall of Fame inductee Kathryn Stripling Byer (which featured handmade covers pulped from repurposed Confederate battleflags), and last year’s Paul’s Hill: Homage to Whitman by the most recent NC poet laureate and NC Literary Hall of Fame inductee Shelby Stephenson. Dave works on a range of other printed matter projects including brochures, catalogues, posters, and literary broadsides and shows content heavy projects can look beautiful to reward deep reading. Clients include the Full Frame Documentary Film Festival, Duke Press, Eno Publishers, The Gregg Museum of Art & Design, UNC School of Journalism, Carolina Friends School, and Jacar Press. Dave also takes great pride in working with writers who wish to self-publish (books and broadsides), and explaining the process clearly to help people choose the most suitable production strategy for their specific context. He has built up a network of production vendors and knows which companies to use based on the specifics of each book and ensuring costs are controlled without sacrificing quality. Writers enjoy a close and collaborative working relationship with Dave, and see their manuscripts come to life within beautifully designed books that deliver a proper stage to celebrate the work and cultivate a reading audience. 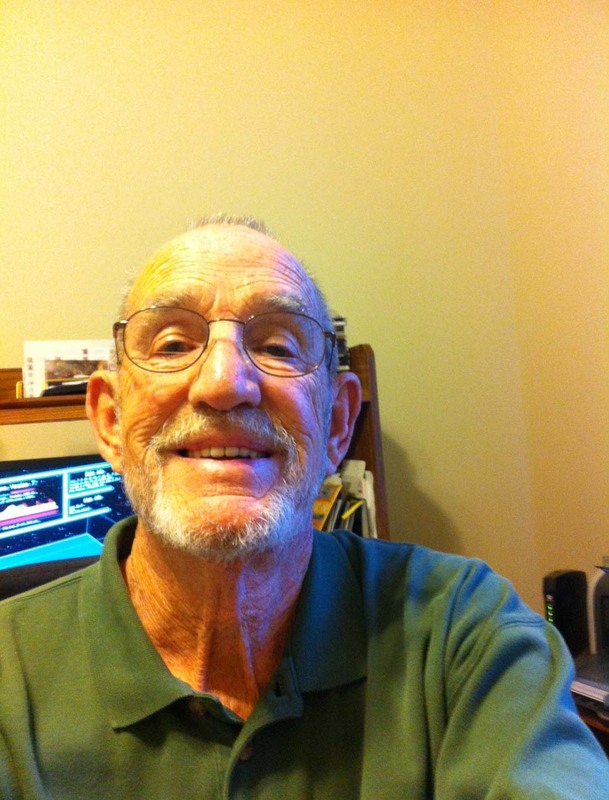 Recently, Dave has enjoyed producing small editions of high quality books for folks who have taken the time to write memoirs or family histories (including A Small Circle by William Price). These books integrate digital printing on the interior (using high quality, heavy-weight paper) with letterpress printed covers, and perfect bindings (with cover flaps) to find the sweet spot between aesthetics and economics in making book editions built to last for generations. Dave enjoys providing this service in an age of less than inspired, print on demand internet-based companies and showing that much better books can be produced while remaining cost competitive. With his experience in editing images, Dave is able to greatly improve archival photos so they reproduce beautifully in these books. Horse & Buggy Press works out of Durham, and Dave curates a 500 square-foot gallery which features work by over twenty established artists and craftspersons from across the Southeast. The gallery features changing solo and thematic exhibits on the “main” wall, and there is a curated bookstall which features a culling of books by micro-presses and high quality, self-published writers, artist monographs from a few select museums, and a healthy amount of photobooks. Dave sends out an illustrated e-newsletter every two months or so. Just email him at dave@horseandbuggypress.com if you would like to receive these and keep up with the goings on in the studio and the gallery. The website was overhauled last winter and has a large amount of work for viewing in the portfolio section. https://www.horseandbuggypress.com. Dave will have a few book and broadside projects for sale at his table, and looks forward to connecting with writers who may be considering self-publishing work in the near future. 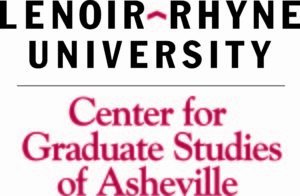 The Center for Graduate Studies of Asheville was launched in 2012 to expand Lenoir-Rhyne University’s mission to serve the specific needs of Western North Carolina and beyond. As a commitment to the community, LR invested in a state-of-the-art learning space in downtown Asheville and hired full-time, terminally-degreed faculty to direct the graduate programs, mentor students, and develop community partnerships. The Center currently enrolls more than 200 students in twelve programs and is becoming known for its leadership in key community initiatives. The Center is home to the Thomas Wolfe Center for Narrative as part of the Master of Arts in Writing program led by Professor Laura Hope-Gill, the Poet Laureate of the Blue Ridge Parkway. Follow them on Facebook, Twitter, and visit their website. 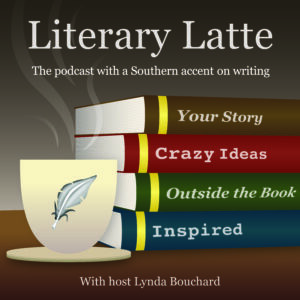 The Literary Latte Podcast is powered by storytellers. Each interview is a jolt of inspiration fueled by thoughtful conversations with bestselling authors and publishing pros that give real-world advice on the craft and business of writing. Host Lynda Bouchard is the founder of Booking Authors Ink, a boutique marketing firm dedicated to Southern authors. As a result, she has worked with some of the most high-profile authors on the planet, and many have been podcast guests, including Chris Bohjalian, Pat Conroy, Ken Burger, Dorothea Benton Frank, James Patterson, David Baldacci, and many more. Lynda collaborates with New York publishing houses on Southern publicity campaigns and serves as a consultant for authors on tour throughout the South. She is a contributing writer for Where Writers Win blog and has been a featured speaker for the SC Writers Workshop and panel moderator at the South Carolina Book Festival. When she isn’t busy pitching her creative outside-the-book ideas and waiting for Anderson Cooper to return her calls, you’ll find her volunteering for Literacy Councils in North and South Carolina and supporting her local chapter of Donate Life—helping create awareness for the importance of organ donation. Find her on Twitter and on the Web. The North Carolina Arts Council is a sponsor of the NCWN 2018 Fall Conference. This year, the NCAC has nominated a new poet laureate for North Carolina, Jaki Shelton Green, who will be among the panelists at Fall Conference following the staging of Ian Finley’s new play, Native. The NCAC has also been instrumental in connecting individuals and organizations in need of disaster relief in the wake of Hurricane Florence with the appropriate resources. Over the years, the NCAC has been at the forefront of bringing arts tourism to North Carolina, publishing several guidebooks to heritage trails and designating the Blue Ridge National Heritage Area. The NCAC also offers fellowships to artists and organizations each year. The deadline for the next Artist Fellowship grant is November 1. Follow them on Facebook, Twitter, and learn much more on their website. The mission of the North Carolina Literary Map is to highlight the literary heritage of the state by connecting the lives and creative work of authors to real (and imaginary) geographic locations. Through the development of a searchable and browseable data-driven online map, users are able to access a database, learning tools, and cultural resources, to deepen their understanding of specific authors as well as the cultural space that shaped these literary works. The NC Literary Map also offers apps for literary walking tours. New walking tours this year include Blowing Rock, Wilmington, and Wilson with more in the works. There is, of course, a literary walking tour of Charlotte. Make sure to find time before or after the conference to explore the literary side of the Queen City! They’re on Facebook, Twitter, and you can visit them on the web. Published since 1992 by East Carolina University and the North Carolina Literary and Historical Association, the North Carolina Literary Review facilitates the annual Doris Betts Fiction Prize for the North Carolina Writers’ Network and sponsors the annual James Applewhite Poetry Prize. The most-recent issue (#27!) includes an essay by NC Literary Hall of Fame inductee Margaret Maron; poems by Catherine Carter, Dannye Romine Powell, Marty Silverthorne, and NC Literary Hall of Fame inductee James Applewhite; and fiction by NC Literary Hall of Fame inductee Allan Gurganus, as well as Robert Wallace’s story “The Science of Air,” which won the 2017 Doris Betts Fiction Prize. 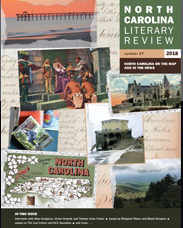 NCLR publishes interviews and literary criticism about North Carolina writers and high-quality poetry, fiction, drama, and creative nonfiction by North Carolina writers or set in North Carolina. Their definition of a North Carolina writer is anyone who currently lives in North Carolina, has lived in North Carolina, or uses North Carolina as subject matter. Follow them on Facebook and learn more on their website. 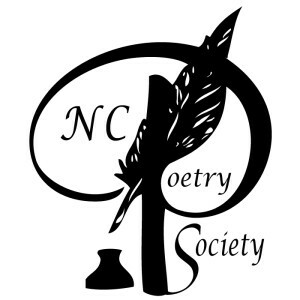 The North Carolina Poetry Society was founded in 1932. With more than 350 members from North Carolina and beyond, NCPS is an all-volunteer organization devoted to poets and lovers of poetry. The Poetry Society holds regular meetings four times a year in Southern Pines at the Weymouth Center for the Arts and Humanities. In addition, NCPS sponsors annual contests for adults and students, which offer cash prizes and award certificates; the annual Poet Laureate Award, judged by the state’s poet laureate; the annual Brockman-Campbell Book Award, recognizing the best book published by a North Carolina poet; and the annual Lena M. Shull Book Award, selecting for publication the best full-length unpublished poetry manuscript by a poet living in North Carolina, where the wining manuscript is published by St. Andrews University Press, and the winning poet leads a workshop and gives a reading at Poetry Day Hickory in April. In 2003, the NCPS Board of Trustees approved the establishment of the Gilbert-Chappell Distinguished Poet Series, where three distinguished North Carolina poets are selected annually to mentor student poets in the eastern, central, and western regions of the state. Now in its 8th year, this program is thriving as a significant expansion of NCPS outreach. They’re on Facebook, Twitter, and on the World Wide Web.